How do you evaluate millions of different signals when time is of the essence? This was the question that started it all. In 2009, the United States Army Intelligence and Security Command (INSCOM) at Fort Belvoir sought the capability to track national security threats in real time. The solution needed to produce instant results and visualize insights across massive streaming datasets. Nothing existed in the market that met their needs. Data warehouses were too slow, NoSQL wouldn’t scale and premium in-memory solutions promised real time but didn’t deliver. These are the problems that led to the creation of Kinectica. Paul Appleby, CEO of Kinetica, believes that the data that is generated through business activities has become more valuable than the business activities themselves – heralding this new era he calls the “Extreme Data Economy.” For Paul, it is apparent that businesses are increasingly facing enormous challenges addressing massive sets of complex data at unparalleled speed, making it almost impossible to maintain business in motion. In order to understand this era of the data-driven economy, Paul believes it is incumbent upon business leaders and technologists to evolve their thinking around data to the point where data shapes business strategies, drives investments and enables hyper growth. As the CEO as well as a board member of Kinetica, Paul is responsible for accelerating Kinetica’s growth and furthering the company’s international expansion. Paul has over 25 years of experience successfully building and leading global teams for industry brands and startups alike. 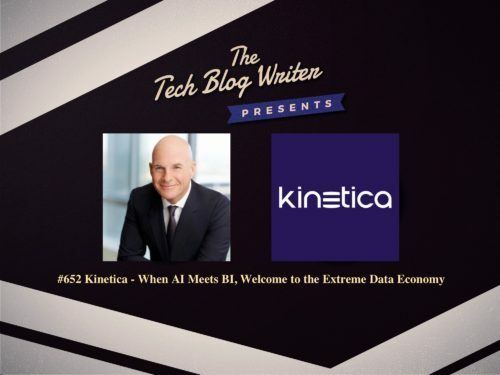 Paul came to Kinetica from BMC Software, where he was President of Worldwide Sales and Marketing. Prior to BMC, he was the Executive Vice President of Global Sales at Salesforce, and before that, Chief Revenue Officer at C3 IoT. Previously, Paul was Managing Director of EMEA and APJ for Travelex, the world’s largest non-bank foreign exchange provider. Prior to Travelex, he held senior executive positions overseeing the Asia Pacific region at both Oracle Corporation and Siebel Corporation. Earlier in his career, Paul was CEO of Gocorp and Director of both Financial Services and Telecommunications for SAP.